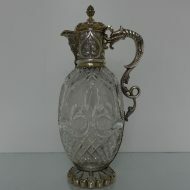 A very important oval Victorian claret jug with decorative floral chasing and matting for highlights. 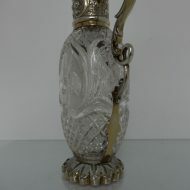 A very important, oval Victorian claret jug with decorative floral chasing and matting for highlights. 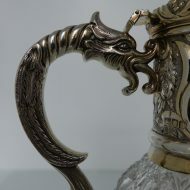 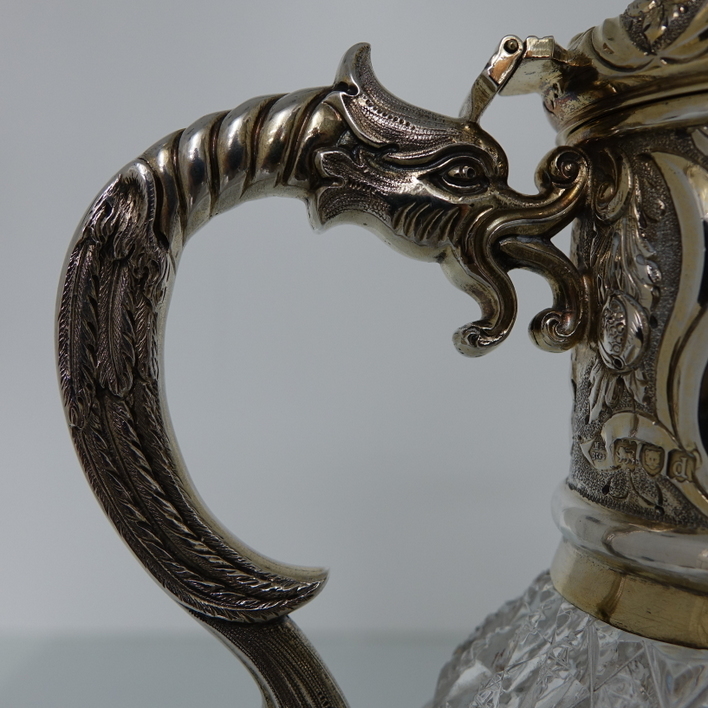 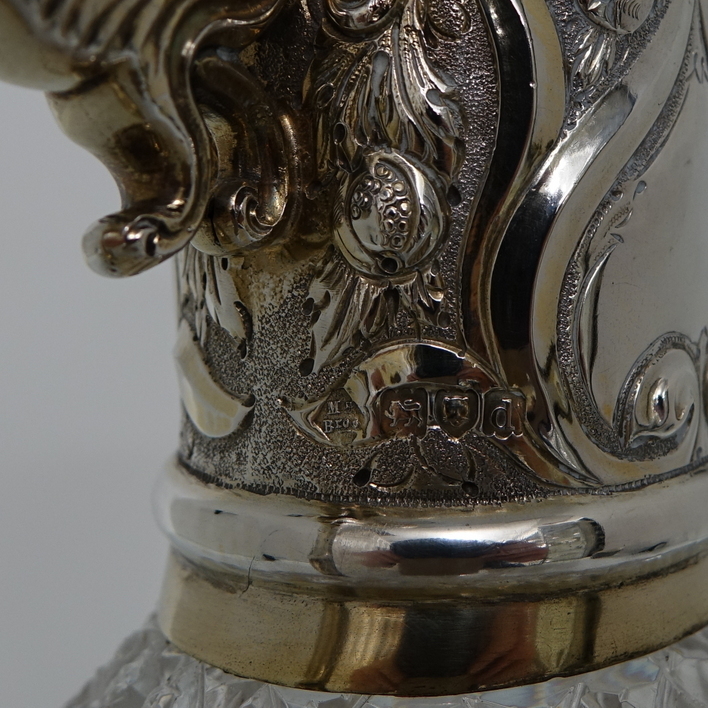 The claret jug has a magnificent double scroll serpent themed handle. 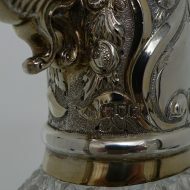 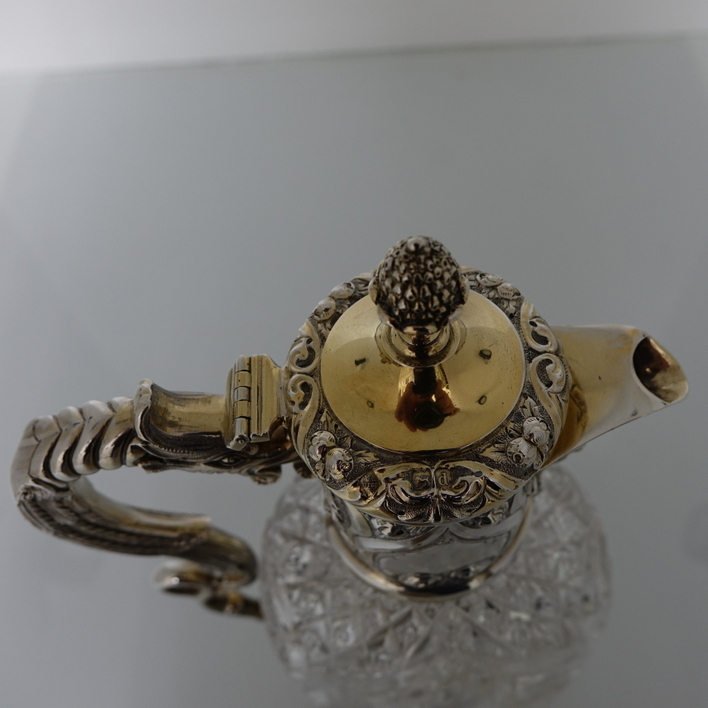 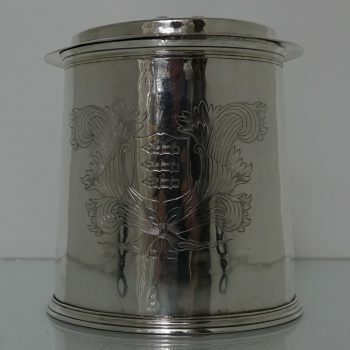 The lid of the claret jug is hinged and has a single band of decorative floral chasing with an acorn finial. 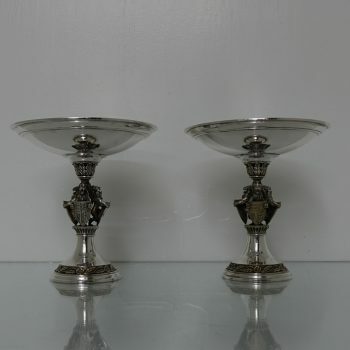 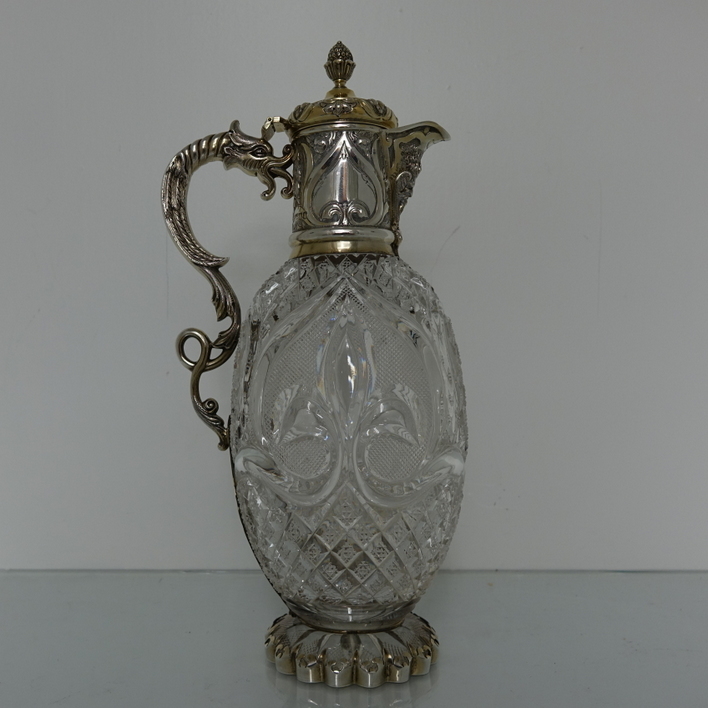 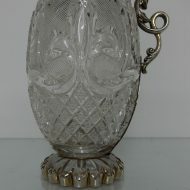 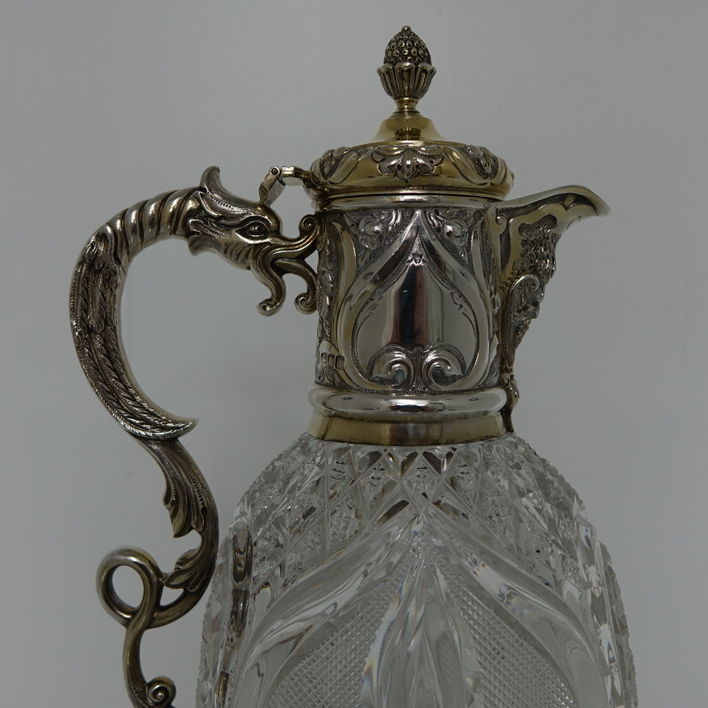 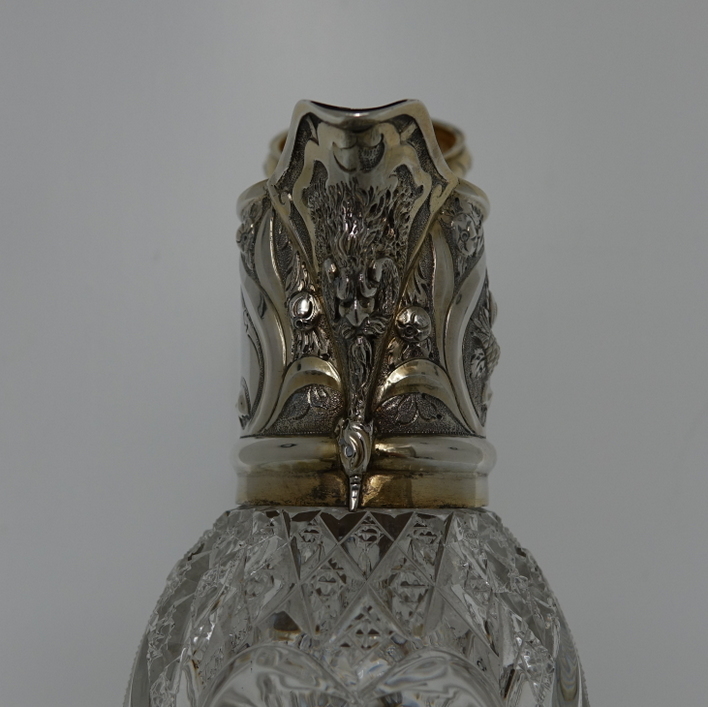 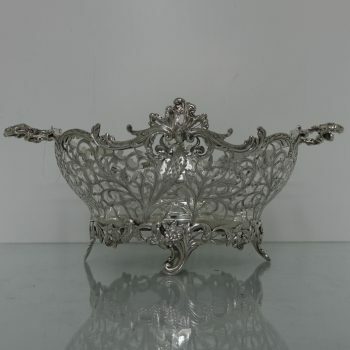 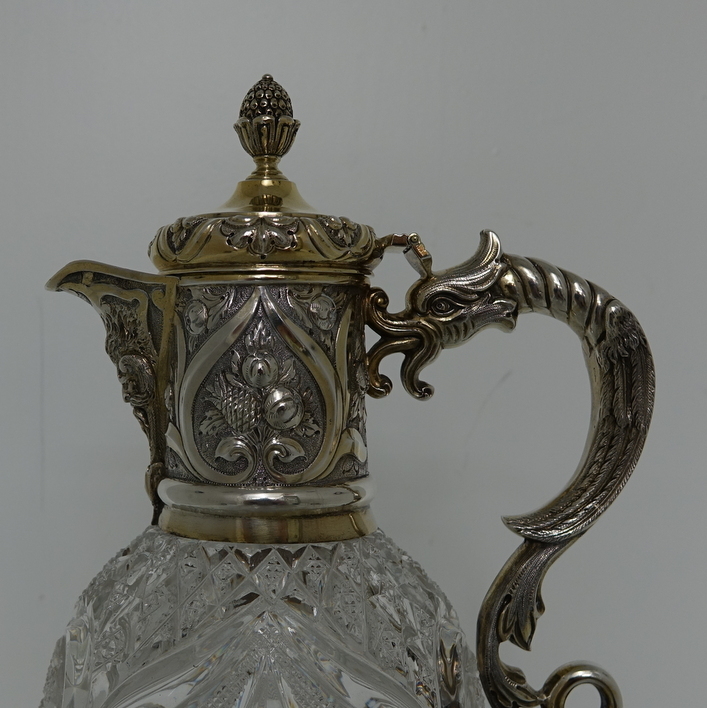 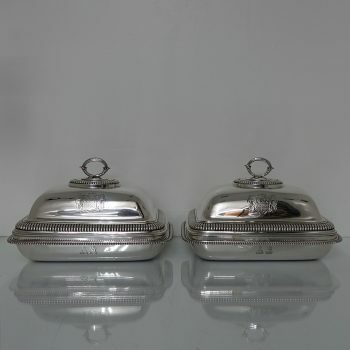 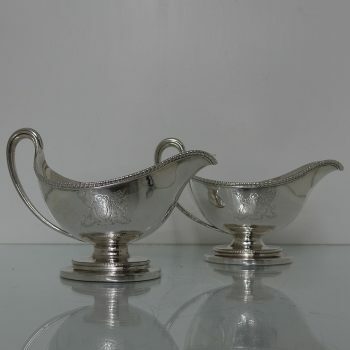 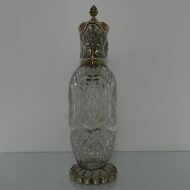 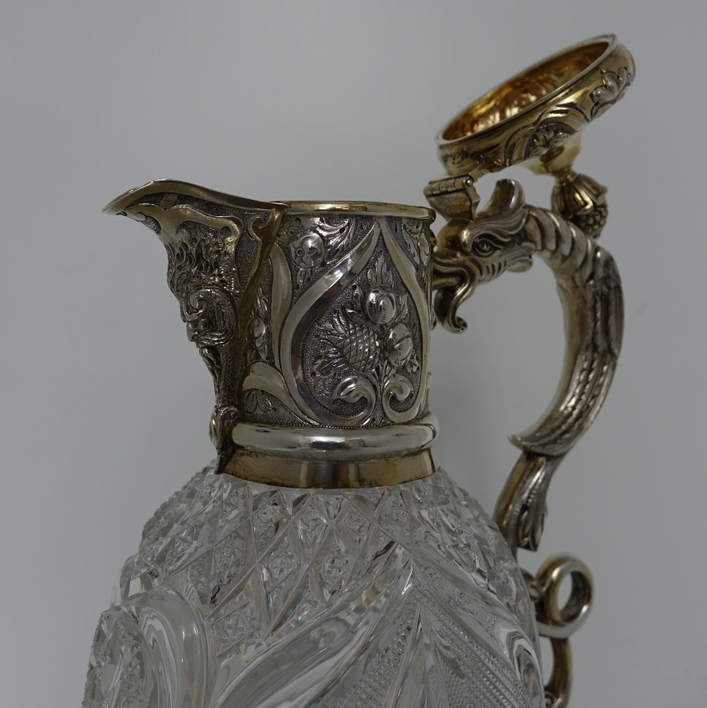 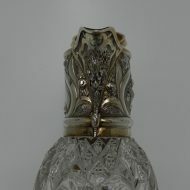 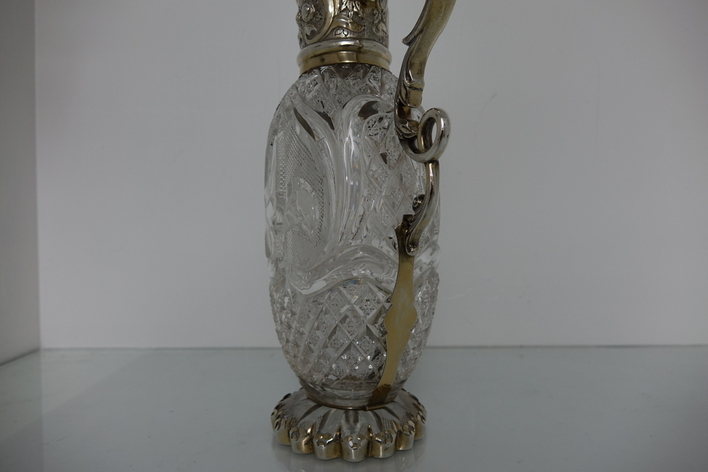 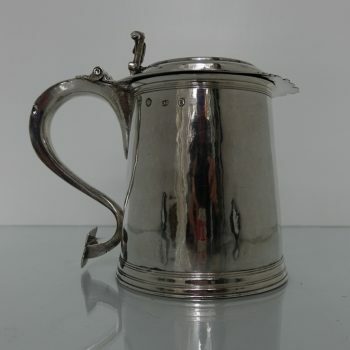 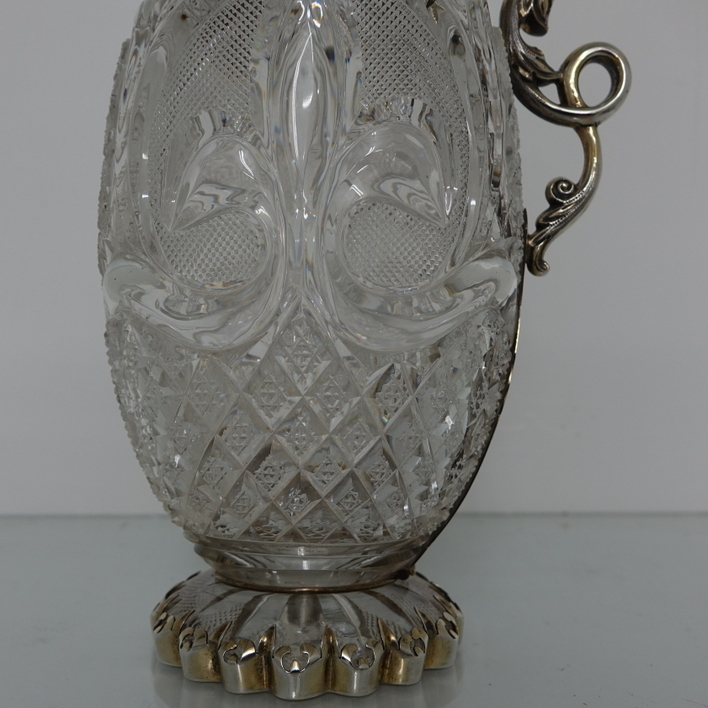 The body of the jug is ornate crystal with the foot also being crystal but finished off with delightful silver edging.